We love LabVIEW. We like it for how quickly it enables us to acquire and analyze data. Even novices can put together small data acquisition projects with a little experimentation and a few internet searches. That’s pretty much the way each of us at Endigit started, either in a university lab or as part of an engineering career. As novices we learned that as projects get larger, so does a novice’s ability to foul things up. For a LabVIEW developer to succeed with larger projects, she will have to learn about architectures, abstraction, and other advanced topics. Our team of LabVIEW experts includes 7 Certified LabVIEW Architects (CLA). 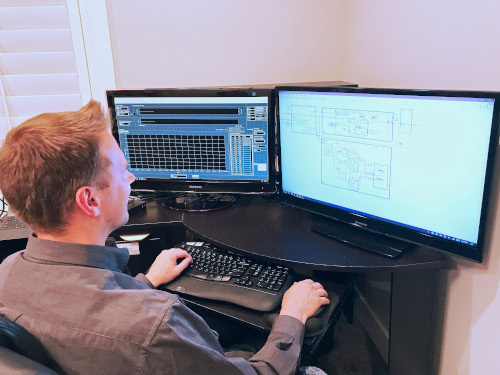 While we can efficiently deliver small data acquisition projects, our real talent is bringing skills in those advanced topics to partner with you on bigger projects. We’re great at providing turnkey systems based on your requirements. We also like to work alongside your engineers to complete the project, to provide paid support throughout a project, or to provide architecture guidance at the start of an application.